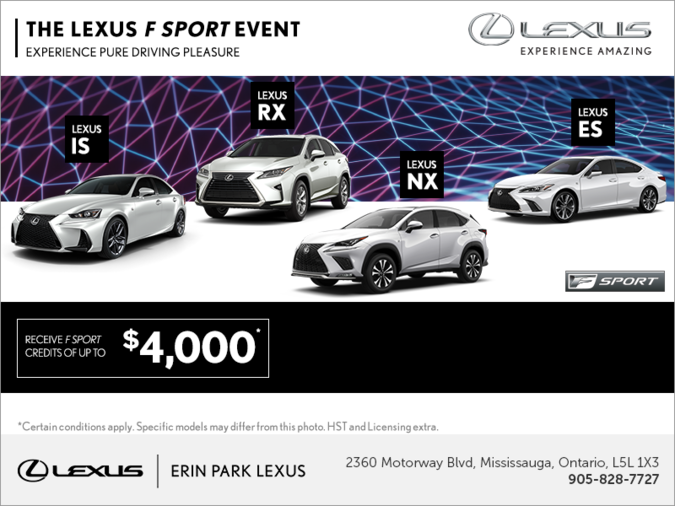 The Lexus F Sport Event. Experience Pure Driving Pleasure. Receive F Sports credits of up to $4,000 on select models. Act fast, this offer ends April 30th, 2019!